← Creative Stitches & Hobbycrafts show or Mr. Darcy shirt..
That pullover, I’m ashamed to say, had been started back in October.. Well, I finished it now! It’s probably the longest ever of my knitting projects.. Anyway, it’s Turtle Neck Pullover from Japanese series Couture Knit. 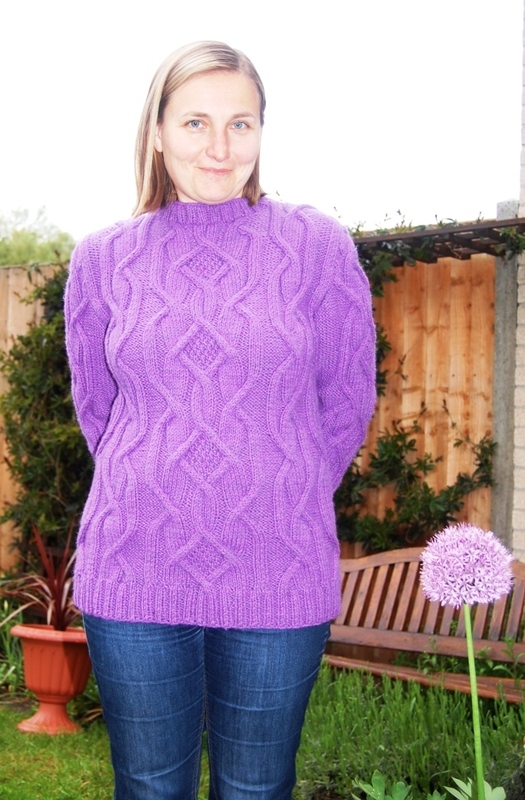 Apart from it doesn’t have a turtle neck in my interpretation..
And it’s also the same colour as the allium in my garden! Jessie’s giving me a hug, can you see how her tail is wagging? 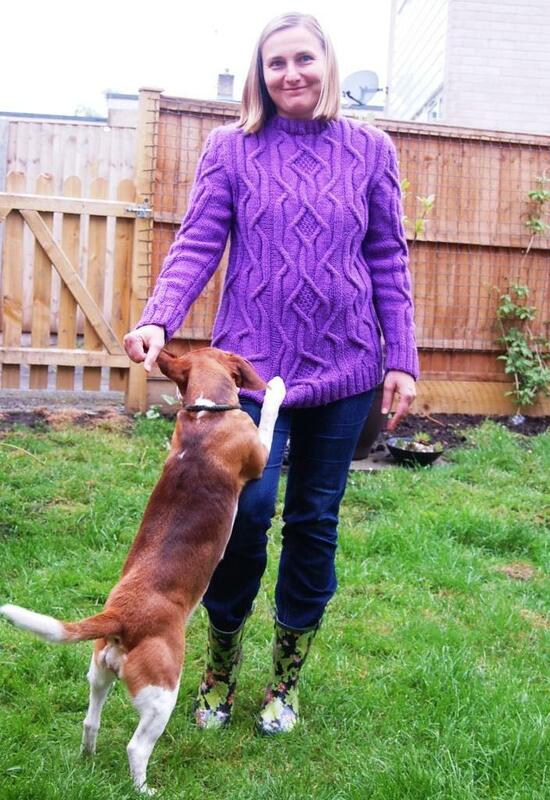 Don’t make holes in my new jumper, you crazy hound! – Don’t pull my ear then! Wow that looks fantastic! It’s a beautiful colour on you. Thank you! I’m not so good at crochet though..